Personalised christening photo albums offer a means to turn a standard communion memory book into a family heirloom that could belong to no other. Get started right away and create your own christening photo album! Photo albums offer the opportunity to preserve pivotal moments in a child’s life, moments that can form the basis of a library of images that tell the story as only pictures can. A child’s christening represents their passage into a new stage of their life, one that they take alongside those who love them the most. A christening photo album is an ideal way to frame and preserve these images. A church photo album is also very popular for these special moments. Order a christening photo book from bonusprint and you will have a means of revisiting the first steps on their spiritual journey while you anticipate the next major step, communion. bonusprint also offers beautiful communion photo books so that one day soon they can go right alongside your christening or baptism photo book. Come to bonusprint and create a high-quality communion photo book! bonusprint also offers you the opportunity to tailor your album to pay tribute to the people and moments that will be preserved within. Personalised christening photo albums offer a means to turn a standard communion memory book into a family heirloom that could belong to no other. Use existing photographs and spark your creativity to create a tailored personalised communion photo album in a contemporary or unique style. 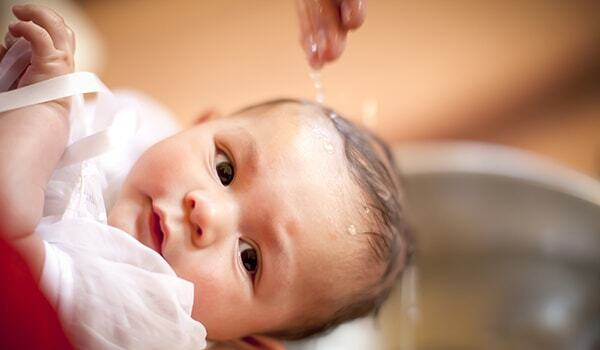 A christening is a wonderful occasion spent with family and friends. However, to create your christening photo book and collect all those fond moments together is a joy in itself. The activity allows you to revisit the moments you enjoyed the most and prompts you to think ahead to all the important moments to come. bonusprint allows you to take things further by enabling you to make your christening photo album yourself using different patterns, colour schemes and frame choices. The end result is a christening photo album design that is wholly your own. Once you get a taste for just how individual a design you can create, we are confident you’ll be back to create your communion photo album design as well! If you don’t wish to go through the steps of printing out photos yourself, a print christening photo album from bonusprint is a great way to save time and effort. Our print christening photo books allow you to create your album with images stored on your computer. Then we print it out for you as one single book and send you the complete product. This can be a great choice for those who have a high volume of photos to get through or simply wish to use their computer to create the arrangement. We also offer the same option for printed communion photo albums. Buy christening photo albums from bonusprint and set yourself and your family a future date to revisit all your favourite christening moments together. Order Christening albums today and you’ll experience our easy-to-use platform and friendly service first-hand. Whatever the occasion, whether you are looking to buy communion photo books, christening albums or just something for your collected photos or images from home, we are dedicated to offering you products that are of high-quality and unique to your needs.